The Santa Clara County Trial Lawyers Association has named Timothy McMahon the 2018 Lawyer of the Year, citing a nearly $7 million jury verdict as evidence of McMahon’s outstanding service to his clients. 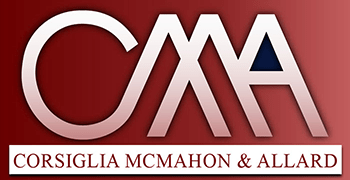 McMahon is a founding partner of San Jose-based personal injury law firm of Corsiglia, McMahon and Allard, LLC. This is the second time in five years Mr. McMahon has received the Trial Lawyer of the Year designation. The Trial Lawyers Association said Mr. McMahon’s pursuit of justice for motorcycle accident victim Malte Selck is an excellent example of his tenacity. In 2012, Selck was driving his motorcycle on Highway 101 when he was involved in an accident with Van Thuy Tran. Although evidence showed the rear wheel of Selck’s motorcycle was damaged in the collision, Tran’s attorneys accused Selck of rear-ending her. Later, they changed their story and accused Mr. Selck of lane-splitting. An off-duty San Jose police officer’s eyewitness testimony confirmed Mr. Selck’s account that Tran’s vehicle struck him from behind. Mr. Selck was seriously injured in the accident. Interest on the verdict is accruing at a rate of approximately $700,000 per year, which means the amount owed now exceeds more than $9 million, Mr. McMahon said. An appeal of the verdict was recently dismissed.